Let's look at the fascinating history of the pronoun you! I got the idea to write this lesson after some friends and I were talking about whom and how it seems that fewer and fewer people know what it's for and how to use it. Might whom slip away the same way that thee and thou have? 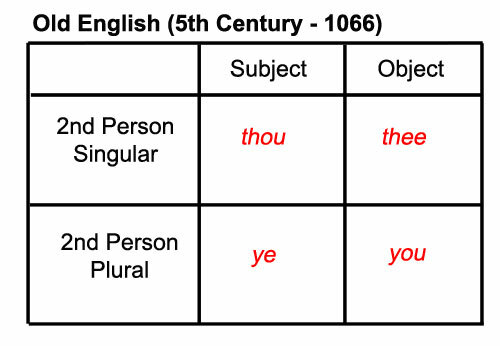 How were thee and thou used, and what happened to them? Let's start with how we use the word you today. We use you for both subjects and objects. We use it as a singular pronoun and a plural pronoun. But, you wasn't always this versatile! 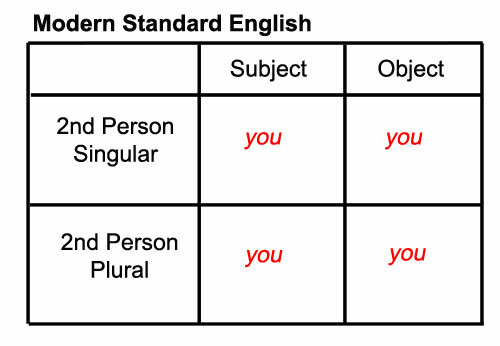 In Old English, which is the earliest form of the English language, you was only a second person plural object pronoun. It wasn't used as a subject. As time went on, you was used interchangeably with ye for a second person plural pronoun. Then, the French influence on English affected how the pronoun you was used. In French, you addressed kings and aristocrats (singular people) with plural pronouns. 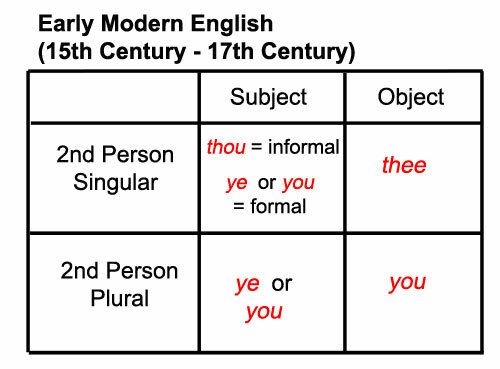 English picked up on this and started using you and ye as formal pronouns to address aristocrats. That slowly changed to people also using you and ye to address strangers and those with higher social status. Using the plural pronoun for one person was seen to be more polite. 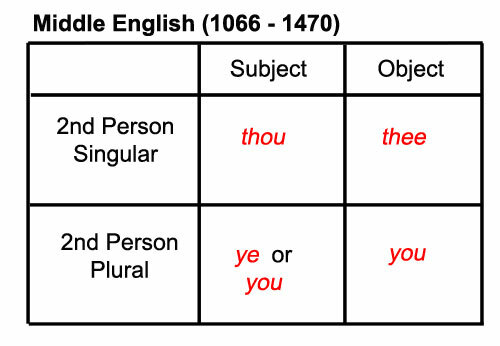 And then, around the 17th century, we dropped thee, thou and ye, and used simply you for all of those words. And that brings us back to where we are today! Thank you for reading. If you found this lesson interesting or valuable, please share it!